We created a small boundary with cardboard, paper, and tissue paper. 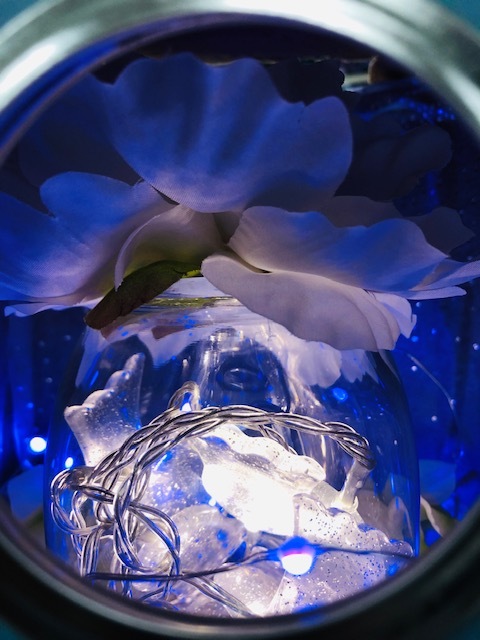 We then set a round glass with a fake flower inside filled with lights. After that we created a hole in the cardboard creating a small look through. We coiled the string lights inside and turned them on. Then our project was finished and we were ready to take a video.